MARC CHAGALL RARE FABULOUS BEAUTIFUL LITHOGRAPH. Numbered in pencil, plate signed. Beautifully custom framed, size includes frame. Artwork is in excellent condition. Certificate of Authenticity included. Please do not hesitate to ask for more photos. 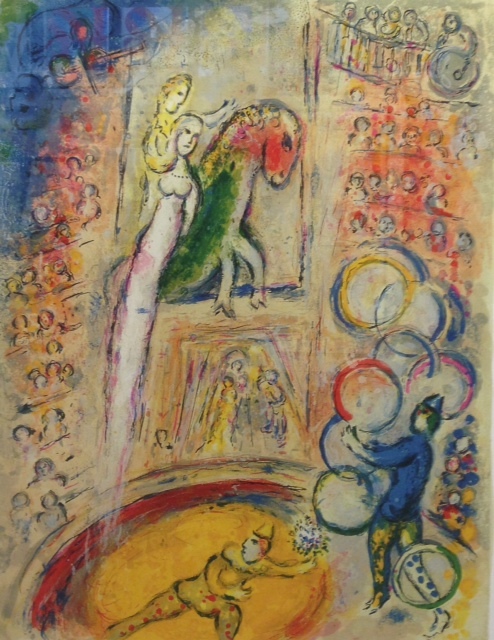 Click the button below to add the Untitled (From Le Cirque) By Marc Chagall Framed Retail $3.5K to your wish list.